Research papers on criminal procedures often look at case studies of crimes and explain the procedures involved with making an arrest or case. Criminal justice majors often have to write a research paper that studies criminal procedures. Case studies are often dissected in papers to explain the forensic anthropology procedures involved in processing crimes. Paper Masters has many writers that can assist with criminal justice or forensic anthropology research papers. Cal Rosario, an off-duty police officer, received information from a local citizen that Otto Ruffer was growing marijuana plants at his residence in a suburb of Pottsville, Anystate. Officer Rosario called the police station and enlisted the aid of two officers to investigate. The two officers drove to Ruffer's residence. When they arrived it was dark, and as they walked through Ruffer's side yard into his back yard they saw a greenhouse with plastic sheets draped over its frame. It was located about twenty yards from the back door to Ruffer's house. One of the officers shined his flashlight into a tear in the plastic and observed marijuana plants inside. The officers did not attempt to obtain a search warrant. Rather, they seized the plants and arrested Ruffer. The state prosecuted Ruffer for unlawful manufacture of marijuana. Ruffer's attorney moved the court to suppress the marijuana on the ground that the warrantless search was invalid. He stated, "Ruffer's greenhouse was within the curtilage of his residence, essentially part of his homeplace, and Ruffer maintained the greenhouse for his own personal purposes." Further, the defence contended that the officers trespassed in order to observe the plants and this was an intrusion on Ruffer's privacy. Thus, the defense attorney argued there was no basis for a warrantless search. The prosecutor urged that no search warrant was required since the officers were able to see the marijuana and that the area searched was not Ruffer's home. Thus, the prosecutor maintained that the greenhouse was outside the scope of Fourth Amendment protection against unreasonable searches and seizures. What should be the court's ruling? Give reasons for your answer. Two deputy sheriffs in Westphalia County were investigating a recent robbery at the Gem Jewelry Emporium. They suspected Igor Hotmoney, a transient salesman who was in the area calling on local jewelry, silver, and antique shops to sell them burglar-proof display cases for their merchandise. But the police did not have sufficient evidence to furnish the necessary probable cause required to obtain a warrant to arrest Hotmoney. So, the deputies went to the hotel where Hotmoney was a paying guest at a time they knew he would be calling on prospects. They obtained a pass key and permission from the hotel manager to search Hotmoney's room. When they did, they seized several pieces of jewelry that matched the descriptions of jewelry taken during the robbery. The state charged Hotmoney with the robbery. Defense counsel moved to suppress the evidence seized by the deputies on the ground that the hotel manager was not authorized to consent to the search of Hotmoney's room! The prosecutor countered, "it is common practice for persons other than the room occupant to enter a guest's hotel room. Maids, janitors, and repair persons have access, so the manager was within his right to grant the police access to Hotmoney's room." What ruling do you think the court should make? Why? 3 Strikes Laws Research Papers - It sounds like a good idea: in order to cut down on crime by repeat offenders. Forensic linguists are concerned with the vocal and written language that is involved in the investigation of crime as well as judicial procedure in relation to trial. Order a research paper on forensic linguists from Paper Masters. 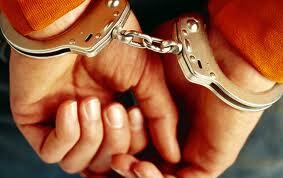 America's Prison System Research Papers investigate the pros and cons in prisons. Buy Custom College Research Papers. Criminal Justice Project Research Paper discusses an example of an order placed for a sociology research paper, that would like you to analyze two cases. Victimology Research Papers - the study of victims, including the relationship between victims and their offenders, and the interactions of victims of crime with the criminal justice system. Paper Masters writes custom research papers on Criminal Procedure and delve into a sample of an order placed on two scenarios dealing with criminal procedure in a certain area.